August 21, 2014 August 21, 2014 by AdoremydietLeave a Comment on Coffee table, shabby chic. Here I present to you a coffee table that has really turned out better than I expected which was a pleasant surprise. I love with furniture how there are no rules, you can simply let the paint brush just run away and do it’s own thing. 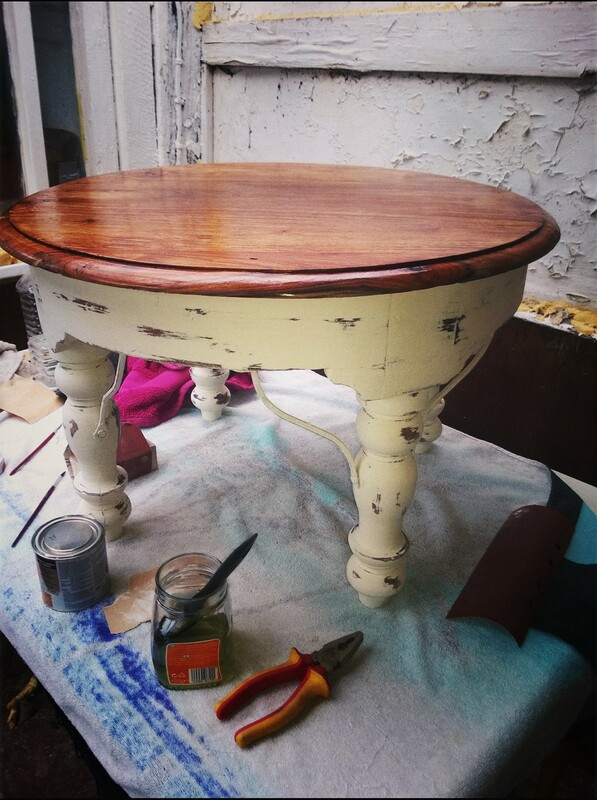 The best thing about using Annie Sloane Chalk Paint, is that you can really let the creative side of you flow! You can stipple and/ or slide the brush about to create your own textured effects and the BEST things about the whole shabby chic process? No two pieces will ever be the same! I feel totally at ease whilst painting and I find it very therapeutic. I love hunting for the furniture I am going to buy and then up cycle! If you are sat there and you can see something in your house that you think you could have a go at painting then be brave and have a go, I promise that you won’t regret it!